I t’s been raining all day, but I’m fortified by a cup of strong tea, wrapped in the warm sounds of Flaming Pie like a favorite blanket. Every time I listen to this disc, it wraps a little tighter around me. 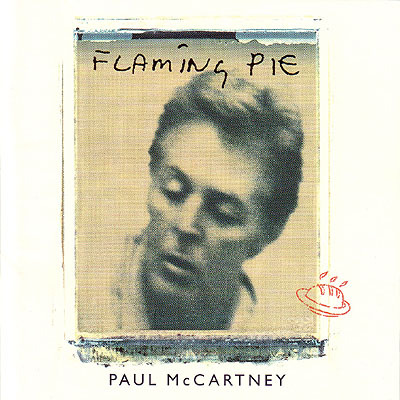 At the moment, I’m convinced that even the silly “Flaming Pie” is a great song, and it reminds me that Paul McCartney’s best albums have a way of charming your brain of its senses. Remember the way “You Gave Me The Answer” or “Long Haired Lady” seemed to arrive after you were sure you were sated with the sweet stuff, and it just made a fine moment perfect? 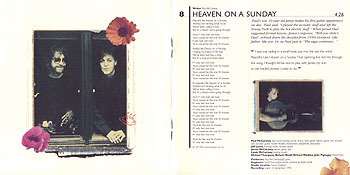 Well, it happens here on “Heaven on a Sunday,” and that hasn’t happened in a long time on a Paul McCartney album. Much was made at the time of The Beatles’ Anthology series and how the history lesson awakened the sleeping giant, but I’m not having any of it. There’s nothing in “If You Wanna” or “Young Boy” that wasn’t also there for Londontown and Off The Ground. There is merit in the less-is-more approach, however, since it reveals the melodies that have always been at the heart of McCartney’s muse. Suggesting that this is a return to Paul’s work with The Beatles would be a disservice to listeners, since that reference point is no longer on the map. 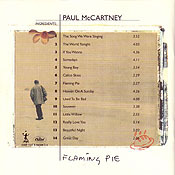 Better to point to the more direct moments of Band on the Run or Tug of War; that’s what Flaming Pie reminds me of. It’s interesting that Jeff Lynne, who gilded the work of George and Ringo with a heavy hand, shows so much restraint here. The production isn’t minimal on Flaming Pie, it’s transparent. Of course the material is very good, capably played and multitracked with help from Lynne and Steve Miller. (Compare this to McCartney II and you’ll see the strides that Paul has made in the medium of multitracking.) “Beautiful Night” comes closest to invoking the old Beatles magic (and, yes, Ringo really is the world’s best drummer), shaped in the mould of masterworks like “Lucy In The Sky With Diamonds” and “Fool On The Hill.” I could tell you that this is Paul’s best album since Tug of War, make you feel like The Beatles were back on Earth for a moment, but that’s hyperbole and beside the point. What I can tell you is that, for the sixty minutes since I put this disc in my CD player, I’d have sworn it was sunny outside.